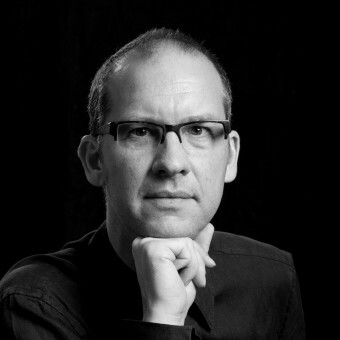 Editor Frank Scott (FS) from DesignPRWire has interviewed designer Eckhard Beger (EB) for A’ Design Award and Competition. You can access the full profile of Eckhard Beger by clicking here. EB: Early in my life, I had a very broad range of interests such as design, technology, music, photography, business. With regards to education, I made the rational choice studying engineering and business administration. This led me to a corporate career in business development, marketing and sales. Over time however, I felt something was missing. As I always cherished artistic activities like music, photography and design I started investigating possibilities to have a professional activity including an artistic side. Having designed objects and furniture on a regular basis, the idea matured within me to setup a design business. This is how I became a designer, which is my third “professional life” after working in the medical devices and the high-end watch industry. I am therefore a self-taught designer with an engineering degree from ETHZ and an MBA from INSEAD. EB: I am a contemporary art furniture designer from Geneva, Switzerland. In 2014, I founded ArteNemus Contemporary Art Furniture for the design, manufacturing and distribution of my creations. My work has gained international recognition for my designs and since 2012, my creations have been awarded more than 25 international design awards. Furthermore my realizations have appeared in exhibitions in Milan at Museo Poldi Pezzoli, at Venice Design 2016 in the context of the Architecture Biennale, at Venice Design 2017 in the context of the Art Biennale and at PAD Geneva in 2018. EB: I am designing contemporary art furniture with a focus on the conception and the aesthetic side of my creations. I think of my creations as functional pieces of art. This purist approach favoring aesthetics over pure function leads me into the field of decorative arts. I find the abstract ideas for my creations in geometry, mathematics and ornamentations, in modern and postmodern architecture, as well as in the microscopic and macroscopic realms of nature and space. In terms of aesthetics and design language, I draw inspiration from the clear lines of the Bauhaus style as much as I like to explore the geometric freedom given by curves and organic shapes. During the whole design process, I give proportions, curves and shapes particular attention whereby my engineering eye allows me to find the right balance between aesthetics and the creations’ structural integrity. Traditional wood art craftsmanship as well as modern numeric wood manufacturing technologies (e.g., 5 axis numeric wood milling) are put to use for their realization. Beyond outline and function, I like to emphasize the aesthetics of my creations through the usage of figured woods with their wild grain and contemporary marquetry. I feel that the natural beauty and contrasting colors of wood add a dimension of warmth. EB: I very much like the understated elegance of Bauhaus. I particularly like the lamp by Wilhelm Wagenfeld from 1923. I also like Ron Arad’s language of curves in his « After Spring » deckchair. EB: My preferred material is wood. It is a very sensual natural material and the variations in color and grain give it its uniqueness. The irregular texture of wood also confers it a natural feel. The manufacturing of organic shapes from wood however is very complex. EB: For me, it is difficult to be creative « to order ». It is therefore important for me to feed my mind and my imagination with ideas on a regular basis and follow different concepts in parallel. At the same time it is important to remain ope, to live with open eyes as well as with an open mind and to immediately take notes immediately when inspiration strikes. EB: The treen aspects I focus most during the design process are the basic concept, the aesthetics determined by the harmony of shapes as well as the proportions and finally the choice of materials and their combination. EB: There is a multitude of emotions I feel when I design. I feel a mix of curiosity, attention and interest when a new design concept emerges in my mind. My attitude is also driven by excitement, investigation as well as openness and I have a more analytical mindset.During the design process itself – the translation of the concept to the real design – there is a mix of emotions from excitement to interrogation over frustration to satisfaction, based on the project’s progress. It is clear that the whole design process is not a smooth one. EB: If feel more satisfaction at the end of the design process when I feel that I was able to translate a good conceptual idea into an esthetically pleasing creation. It is a feeling of happiness and relief.The ultimate moment however is when I physically see a newly manufactured creation for the first time. Finally I feel rewarded, when I revisit a design a few years later and still feel that it balanced and mature as I believe that not all designs are durable and aesthetically wear off. EB: A good design is characterized by the right blend of conceptual, aesthetic and functional characteristics. From an aesthetic point of view I believe that the following characteristics are part of a good design: harmony, tension, shapes proportions, conception, craftsmanship, originality, colors, originality. EB: When judging a design, I first let the overall impression sink into me to see what my emotionally reaction to it is. In a second step, I will make a more rational and analytical assessment of the functional and aesthetic characteristics as mentioned above. EB: I think that beauty has an inherent impact on the wellbeing of men. Artists, architects, interior decorators and designers transcend the function of their respective creations with esthetics and emotions and thereby make the world a nicer place to be. EB: I am person with multiple interests such as travelling, music, aviation, photography, food & wine and I live in an international environment. All these elements feed my inspiration. In addition, I also have a conceptual side in which helps me to translate an abstract idea into a concrete creation. EB: As a contemporary art furniture designer I blend conceptual ideas (e.g., designing a table based on the morphology of an octopus) and a distinctive contemporary design language with the use of figured wood species (e.g., flamed maple, Indian rosewood or macassar ebony) and art craftsmanship. I think of my creations as functional pieces of art. EB: I live in Geneva Switzerland, which is an international place in center of Europe with diverse cultural influences from norther and southern Europe. Compared to London, Paris or Milan however, the location however has a less vibrant design community and market. EB: The outset for each creation is an abstract concept. Regarding Octopia the initial idea was to design a table based on the morphology of an octopus and in the case of Commodia the desire to create a chest of drawers with organic shapes. In this context, nurturing mind and spirit through curiosity and travelling is essential to foster this creative step.The second step consists in translating the abstract concept into a physical concept. In the case of Octopia the question was how to physically arrange the body elements of an octopus to create a table with a captivating design. In the case of Labyrinth, the question was how should the drawers be designed, to create a thought-provoking front.The third step is a design step in which dimensions, proportions and curvatures are refined to create an accomplished creation. This step is the longest as many iterative steps are required to complete the object whereby the modification of one single curve can fundamentally transform its character.The last step in the process consists in the choice and combination of materials as well as their layout on the surfaces of the objects. In the case of Labyrinth, the combination of flamed maple and ebony, as well as the shifted marquetry work add to the aesthetic tension. EB: The lamp designed by Wilhelm Wagenfeld in 1923, the Gropius armchar F51 from 1920, a Chinese cabinet from the 19th century, my Ignacio Fleta guitar and my Les Paul Custom guitar with a flamed maple top. EB: For me it is important to give a new design some time, to let it « age ». Putting a newly made design aside and looking at it a few days later allows to look at it with new eyes and to make some improvements. Going trough this process a few times is what I call letting the design « age ». It is an important process for me which can last a few weeks to a few months. EB: My design tools are paper, pen and eraser as well as CAD software and rendering software. It is also important for me to feed my inspiration with activities not directly related to design like travelling, photography and reading. My technical background is also an input for me regarding the feasibility of projects. EB: The length of my design projects is variable: it can take a few months to more than one year. EB: My most important professional experiences were my participation in PAD Geneva in 2018, my participation in Venice Design 2017 in the context of the Venice Art Biennale, my participation in Venice Design 2016 in the context of the Venice Architecture Biennale and my participation in the exhibition "Quasi Segreti" at the Museo Poldi Pezzoli in Milan in 2016. EB: From a creative perspective, I am looking into using new shapes and curves as well as using materials I haven’t worked with yet. I am also working at broadening my collection with new creations. From a business perspective, I am working at expanding my distribution through cooperation with new decorative arts galleries in new locations. Press Members: Register and login to request a custom interview with Eckhard Beger.